Breeds with an asterix (*) are more difficult for me to draw, so they will cost 1kt more. 1. Complex Skins or Accents. 2. Apparel that is too complex. These are sketched first traditionally, then outlined and coloured digitally. The price of the traditional sketches are included in the pricing. 1. Apparel for 500t or more, depending on difficulty and amount. 4. Simple Accents/Skins for 800t. Use this code to order! 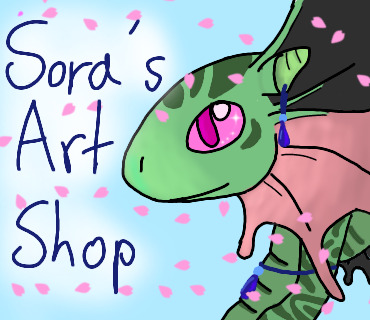 You can see some examples of my art In my DeviantArt gallery! @loveSoraTchi Wow that's some good works! Could I get this girl done please? 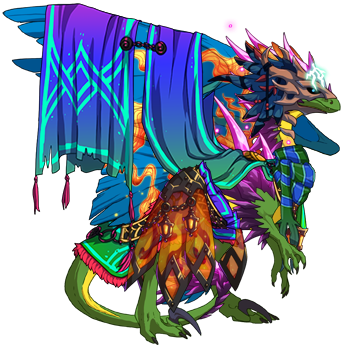 [url=http://flightrising.com/main.php?dragon=35467328] [img]http://flightrising.com/rendern/350/354674/35467328_350.png[/img] [/url] And if so in the watercolour headshot with the appeal? If it's too hard I have others that could be done so don't feel pressured! Wow that's some good works! Could I get this girl done please? And if so in the watercolour headshot with the appeal? If it's too hard I have others that could be done so don't feel pressured! Hmm... I can try! :) If it doesn't turn out nice you can just tell me and I can either redo it or I can do another dragon! It will cost about 8500t once its done and you like it. Sounds good! Have a good sleep! That's beautiful! Thank you so much! Treasure has been sent! 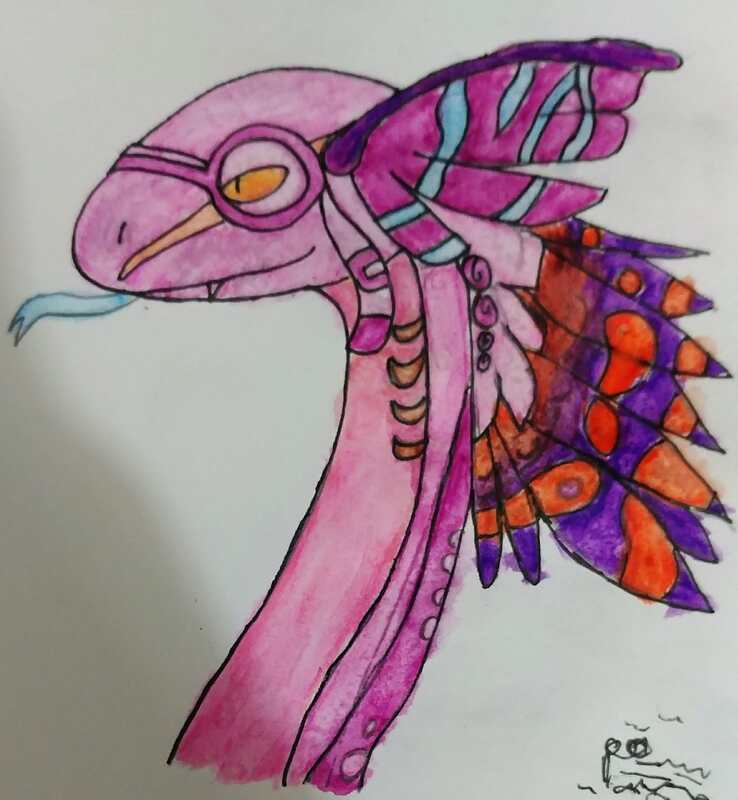 Could you please draw my dragonsona with an excited, happy, and curious expression? It would be great as well if the zentangle patterns on her could have Nature and Lightning-ish aestehtics to them (eg. leaves, lightning bolts, DNA double helix, cacti, etc) even if they're just vague references, and to have some little lovehearts floating around her head as well. Otherwise, go wild! And pigeons are do quite charming, just that they don't get enough appreciation, and people only actually notice them when they poop on stuff.